SMALLER FIT, SO GO UP 1 SIZE! I LOVE TO wood INDOOR/OUTDOOR sign measures 5 1/2 x 7. Small & Medium will be back in stock soon! Email us what size you need & we’ll contact you when it’s back in stock! Thank you! Hello Everyone! My dear friend Charla's house was in the middle of the Fires. On the evening of November 7th when my family was woken up to the loud sound of many helicopters overhead, and learned of the Borderline tragedy that took place 3.8 miles down the road from our home in Thousand Oaks, our hearts just sank! Such beautiful young people enjoying a fun country music evening, that lost their lives because of some disturbed gunman just pulls at hour heartstrings! Our hearts are broken, and we need to make a change! Then 1 day later, on November 8th, the wildfires started in California, sweeping through cities so quickly due to the high winds! Evacuating our home in Thousand Oaks, at 2:30am was the hardest thing I’ve had to do, my 5 year old son, my 2 dogs, precious pictures, videos, keepsakes, passport, birth certificates, and out we left fearing the absolute worst, that we would not be coming back to our beautiful home in Thousand Oaks we just finished building, a 2 year project. Another heart break, it didn’t stop! Our neighbors home burned to the ground, our home engulfed in flames! My husband stayed even though it was mandatory evacuation, he wanted a chance to save our home, in which he in the end, did! It was a MIRACLE, firefighters were spread so thin due to the overwhelming large fires sweeping the state! Before our home caught fire, an Angel neighbor “Marta”, that was watching the 60’ flames wreck havoc on our neighbors property down below, was in close proximity to a firefighter and demanded they come to the inferno blazing next door, and they did, had it been 2 minutes later, our home would have been gone and our neighborhood! We did incur damages to our property, but we were saved, so greatful! Our hearts go out to the victims of the Borderline incident and the thousands of people who lost their homes in the Woolsey, Hill and Paradise fires in California and people that lost their lives in the fires! We MUST be CALIFORNIA STRONG! As we will prevail, with heavy hearts, we want to help! This is why I have teamed up with the talented and inspiring Claudette Barjoud, owner of missfluff.com whom I call one of my dearest friends. I called her and said “we have to help!” She was on board immediately. 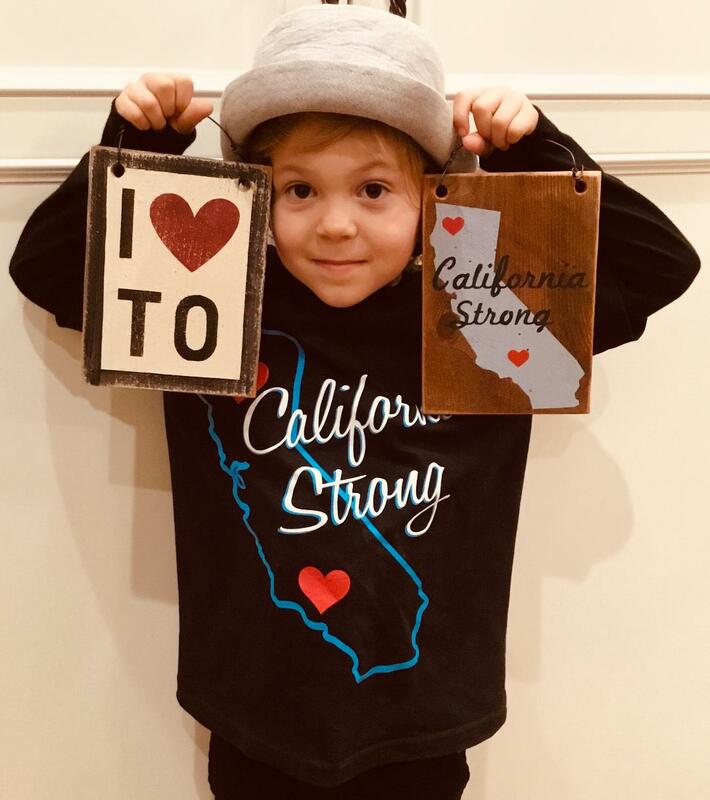 From our hearts our collaboration “California Strong” logo shows love and strength to our fire victims on hats, shirts, stickers and signage. 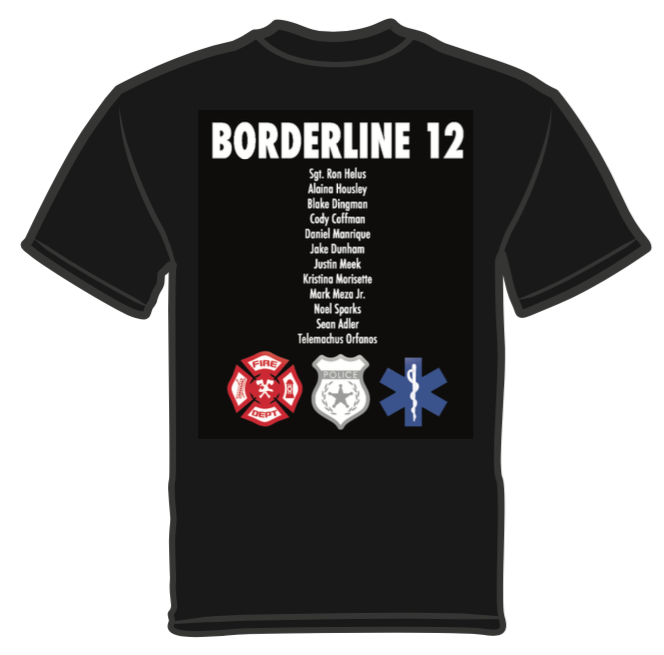 On the back of our t shirts, we give love to the 12 victims that tragically lost their lives to a vicious man with a gun. And our first responders, whom without them, we would be nothing! As a community, let’s join together to show our love by purchasing a t-shirt, hat, sticker or sign to show support! All proceeds go to the VCCF (Ventura County Community Foundation), which helps the Borderline 12 families, people who lost their homes in California from the terrible fires and also animals that need assistance due to the fires! So please tell your friends, families, let’s help in showing support to those that need it the most right now! Here we have the holidays and so many people are heart broken and do not have homes! 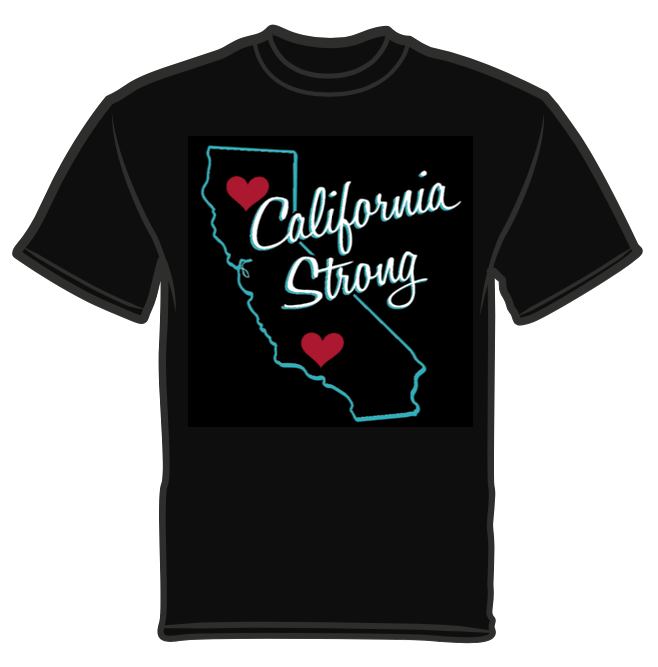 Let’s be CALIFORNIA STRONG as a state and show our love and respect for people that could sure you use it! Kindness counts, and let’s take the time to make a difference.